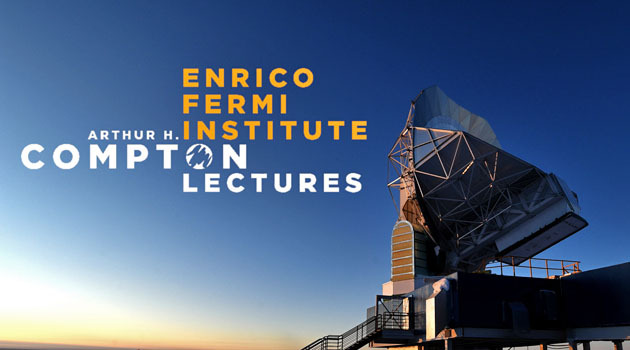 February 1, 2018 Daniel Holz, UChicago, "GW170817: Hearing and Seeing a Binary Neutron Star Merger"
September 29 - November 17, 2018 88nd Compton Lectures: Amy Lowitz, "Nuts and Bolts Cosmology"
October 1, 2018 EFI colloquium: Erik Shirokoff, "Exploring the early Universe (and fundamental physics) with intensity mapping"
October 11, 2018 Physics colloquium: Stephan Meyer, University of Chicago, "Physics is for Everyone"
December 6, 2018 Physics colloquium: Abigail Vieregg, "Discovering the Highest Energy Astrophysical Neutrinos Using a Radio Phased Array"
Daniel Holz, UChicago, "GW170817: Hearing and Seeing a Binary Neutron Star Merger"
Artist's impression of the collision of two neutron stars, the source of the latest gravitational waves detected. 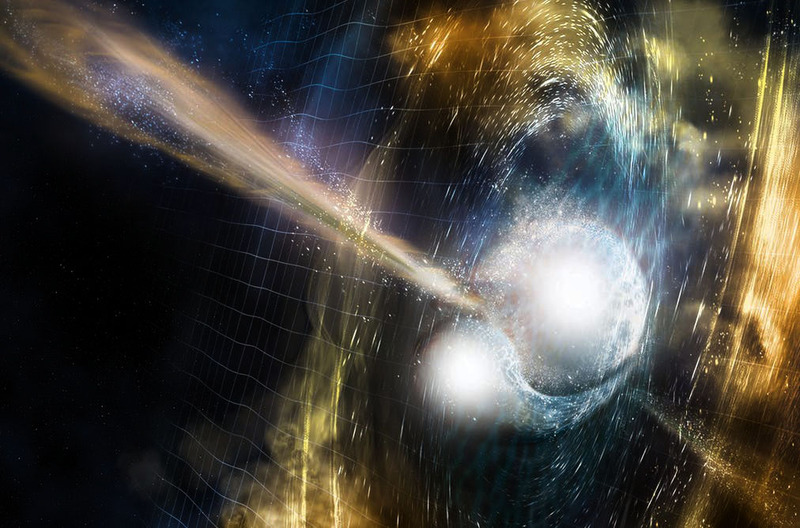 With the discovery of GW170817 in gravitational waves, and the discovery of an associated short gamma-ray burst, and the discovery of an associated optical afterglow, we have finally entered the era of gravitational-wave multi-messenger astronomy. I will discuss LIGO/Vigo's detection of this binary coalescence, and explore some of the scientific implications, including confirmation of the kilonova model and implications for the origin of gold and platinum in the universe, tests of general relativity, and the first standard siren measurement of the Hubble constant. GW170817 represents a momentous development in gravitational-wave astronomy, and the birth of gravitational-wave cosmology. The CMB-S4 Collaboration Workshop at Argonne National Laboratory will continue the series of workshops for the CMB community, meant to define the 'Stage-4' ground-based cosmic microwave background (CMB) experiment. 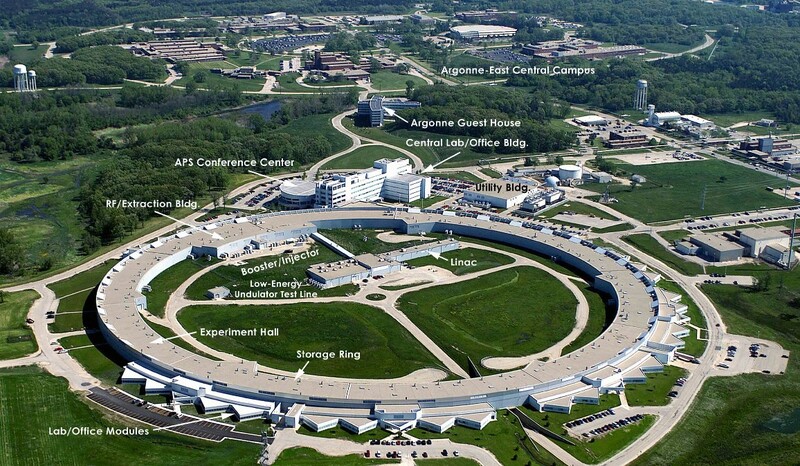 The meeting will be held on the Argonne site March 5-7th, 2018, with full-day meetings March 5th and 6th, and splinter meetings the morning of March 7th. This meeting comes at an exciting time for the CMB-S4 community. Following the August 2017 Harvard workshop and 6 months of working group meetings, we will work to establish the formal CMB-S4 Collaboration. Following the acceptance of the report of the CMB-S4 Concept Definition task force, we will work toward the conceptual design and preparations for the Decadal Survey, as well as continuing explorations of next-generation hardware technologies. The meeting is open to all members of the CMB community and thanks to the support received from Argonne National Laboratory and KICP, there is no registration fee. Please join us for our next Broader Horizons talk this Thursday, April 12 at 5 PM in ERC 576. 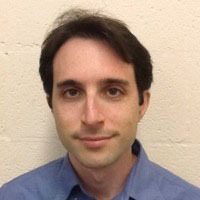 Our speaker is Matthew Lightman, currently data scientist lead at JPMorgan Chase in Chicago. Matthew holds a Ph.D in physics from Columbia University, where his research focused on particle physics simulations. Broader Horizons is a talk series that explores opportunities outside of academia for physics and astronomy PhDs. Following the talk, there will be a Q&A session and discussion. Jennifer is Lead Developer of SecureDrop at the non-profit organization Freedom of the Press Foundation. SecureDrop is an anonymous whistleblowing platform used by dozens of major news organizations for safe communications between journalists and their sources. Prior to joining Freedom of the Press Foundation in 2016, she was a postdoctoral researcher at the Center for Data Science and Public Policy at the University of Chicago, where she worked on applying machine learning methods to problems in public policy. She will discuss her transition from cosmology to public interest technology. Join us on Tuesday May 29 from 3-4:30pm in ERC 401 to celebrate the contributions of KICP and A&A members in the wide variety of Education and Public Outreach (EPO) programs that take place within our departments. Looking to get involved in EPO, or want to volunteer for more? Great! We will have representatives present from all of our initiatives. Come mingle, eat, drink, share your EPO stories, and find out more about how you can volunteer for our EPO programs. Drop in at any time. Soapbox Science is an international, grass-roots science outreach organization that brings cutting edge research to urban settings while also promoting the visibility of women in science. We place inspirational female speakers on soapboxes (literally!) and encourage them to engage in and start conversations with the public about their work. This is a free event where our female scientists will interact with visitors to Navy Pier, busker style, telling them about everything from ecology to mathematics to astrophysics. This summer, 30 Soapbox Science events are being held across the world. Chicago will be the first ever United States location. 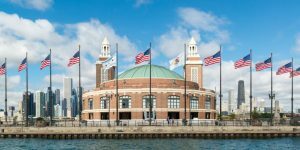 Our event will occur on Saturday July 21 from 12-3pm at Chicago's iconic Navy Pier. We have selected 12 outstanding Chicago-based early career women in STEM, who are ready to wow Chicagoland with their ground-breaking research. Soapbox Science is not just about the speakers. Without a supportive team of committed, enthusiastic people, a Soapbox event simply cannot happen. Each event relies on an animated team of up to 20 volunteers. Volunteers play a crucial role in rounding up the public, chatting to them informally about science, and supporting the speakers by managing props. But perhaps the most important role of the volunteers is gathering data so we can effectively monitor the success of the event: volunteers carry out the bulk of our streamlined evaluation process, through interviews, observations and counting footfall. 88nd Compton Lectures: Amy Lowitz, "Nuts and Bolts Cosmology"
Saturdays, September 29 - November 17, 2018, 11AM. For almost as long as there have been humans, they have looked to the sky in an effort to understand their place in the universe. Some of the oldest surviving records of cosmological thought come from the early Mesopotamians and describe a flat, circular Earth embedded in a cosmic ocean. Our study and understanding of the Universe has come a long way since then; we now build massive and highly sensitive instruments to measure the Universe, and we know a great deal about what the Universe is made of and how it has evolved over the past 13.8 billion years. Still, many open questions remain and drive the development of ever more sensitive measurements. In this lecture series, we will address the current state of observational cosmology, with an emphasis on microwave cosmology and on the instruments used to measure the cosmos. A discussion of the history of the field will provide context and motivation for current measurement efforts. In addition, I will talk about the 'nuts and bolts' of how light detectors and telescope cameras are built. Finally, we will conclude the series with a peek into the future, both of the field and of the Universe itself. EFI colloquium: Erik Shirokoff, "Exploring the early Universe (and fundamental physics) with intensity mapping"
When did the reionization of the universe happen? Was it driven by the first stars, or by quasars? How does the large scale structure of the universe evolve over time at high redshift? Tomographic intensity mapping using submm-wavelength spectral lines is uniquely placed to answer these questions. This technique measures the statistical properties of billions of spatially-unresolved galaxies over large regions of sky, as a function of redshift. In addition to probing hard-to-observe astrophysics, it also provides a unique contribution to fundamental physics experiments. As a polarized foreground-cleaner and a tool for better removing gravitationally lensed B-modes from future CMB observations, an independent measurement of large scale structure evolution with unique systematic biases, and (when combined with other data) a tracer of optical depth, intensity mapping experiments will provide a vital contribution to future cosmological probes of inflation and dark energy. These measurements require tens of thousands of pixel-hours using a moderate-resolution spectrometer at a world-class mm-wavelength observatory. Recent advances in superconducting detectors and on-chip band-defining mm-wave electronics make it possible, for the first time, to carry out such observations. I'll discuss our work toward building such instruments, and the science results they'll yield in the near future. Physics colloquium: Stephan Meyer, University of Chicago, "Physics is for Everyone"
Physics is among the least diverse fields in Science, Technology, Engineering and Math. History and continued barriers to career advancement result in extremely small numbers of women, African Americans, Hispanic and Native Americans being granted Ph.Ds and hired to into faculty positions at research universities in physics. I will discuss the prevalence of these barriers and our role in their persistence, as well as concrete steps we, as a department, need to take. The path to the vibrant future of our field requires addressing, not ignoring, the marked differences in gender and racial makeup of academic departments versus society as a whole. 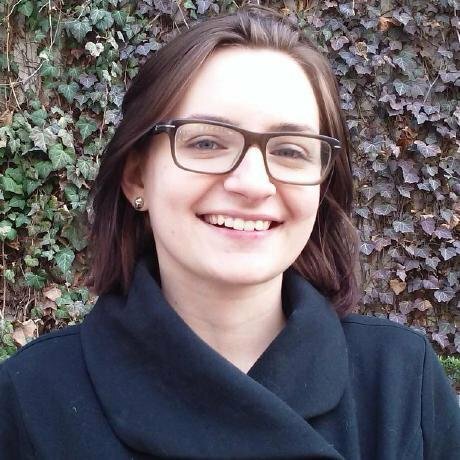 Physics colloquium: Abigail Vieregg, "Discovering the Highest Energy Astrophysical Neutrinos Using a Radio Phased Array"
Ultra-high energy neutrino astronomy sits at the boundary between particle physics and astrophysics. The detection of high energy neutrinos is an important step toward understanding the most energetic cosmic accelerators and would enable tests of fundamental physics at energy scales that cannot easily be achieved on Earth. IceCube has detected astrophysical neutrinos at lower energies, but the best limit to date on the flux of ultra-high energy neutrinos comes from the ANITA experiment, a NASA balloon-borne radio telescope designed to detect coherent radio Cherenkov emission from cosmogenic ultra - high energy neutrinos. As the temperatures drop outside, come cozy up with a beer and hear all about some really ~cool~ space topics. You thought Chicago winters were cold? Come hear from a researcher who works in Antarctica and will have none of your whining. And what's more festive than some 'cosmic candles'? Hope to see you here at Marz Brewing on Tuesday, December 11, at 7 pm! Space itself is stretching in all directions. Will I eventually be ripped away from my couch while watching Netflix? Probably not, but it could happen. Taylor Hoyt, a PhD student at the University of Chicago will discuss the forefront of our understanding of the history of the universe and how we use that knowledge to predict the fate of our universe. These cutting edge cosmological models are rooted in Einstein's Theory of General relativity and are calibrated to extremely precise measurements made by the NASA Hubble Space Telescope, the Chicago-led South Pole Telescope, the European Planck Satellite, among many other technological feats that are the markers of our current era of "precision cosmology." 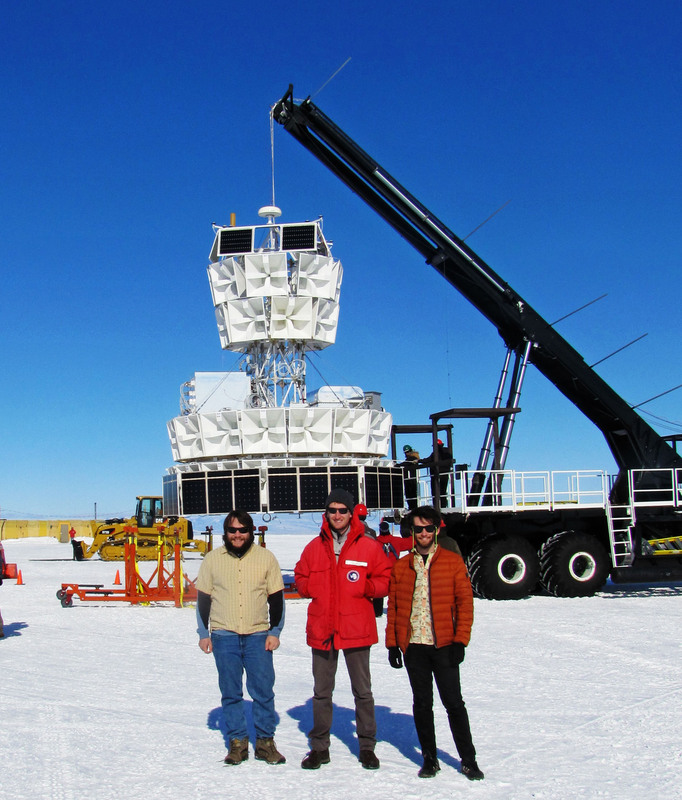 Have you ever wanted to fly a balloon 25 miles above Antarctica in order to search for some of the most energetic particles in the universe using radio waves coming out of the ice? (We know you were all thinking about it!) Cosmin Deaconu, a postdoc at the University of Chicago, is part of the ANITA experiment, which does exactly that. Come learn about ultra-high-energy particles, long-duration ballooning, the ANITA mystery events, and working on the harshest continent of them all!